Yes! The blessed month of Ramadan is here again! I know I don't talk much about my religious beliefs here, that's primarily because I do that here. However, I just want to wish my Muslim brothers and sisters around the world a blissful and productive month of Ramadan that ends in Allah's forgiveness and mercy. Oh! In case you are wondering if Ramadan has really started, I can confirm to you that it has in Nigeria after the Sultan of Sokoto, Alhaji Saad Abubakar III announced the sighting of the new moon last night. 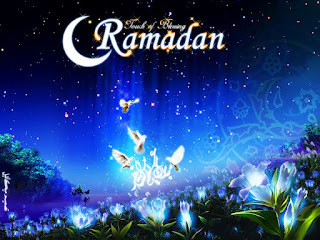 For a list of countries were Ramadan has begun, you can go here. Labels: I am a Muslim, Moon Sighting, Ramadan begins, Ramadan Kareem.